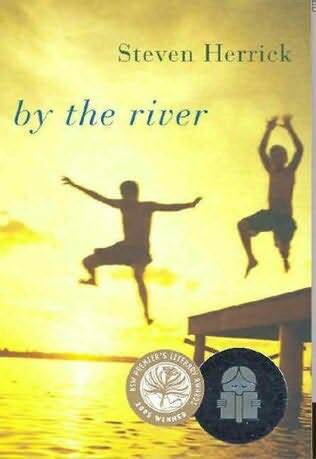 I read this verse novel sitting on a big rock next to the river at Noosa; the Queensland heat and humidity made me feel like I was there, in Harry’s world, watching his story unfold. Written as a series of poems, the novel is surprisingly quick to read, the language is concise and potent. It is not a plot-driven story, but the characters and their personal journeys carry you through this beautifully written tale. It’s a compelling and raw account of what it means to grow up as well as the tremendously difficult task of dealing with loss and love. Steven Herrick is an Australian writer who has written a few great verse novels (including The Simple Gift a prescribed belonging text for the HSC), but this is my favourite. Recommended for ages 14 and up. 4 1/2 stars.